Designed in the birthplace of excellent espresso and inspired by the aesthetics of the birthplace of minimalism. 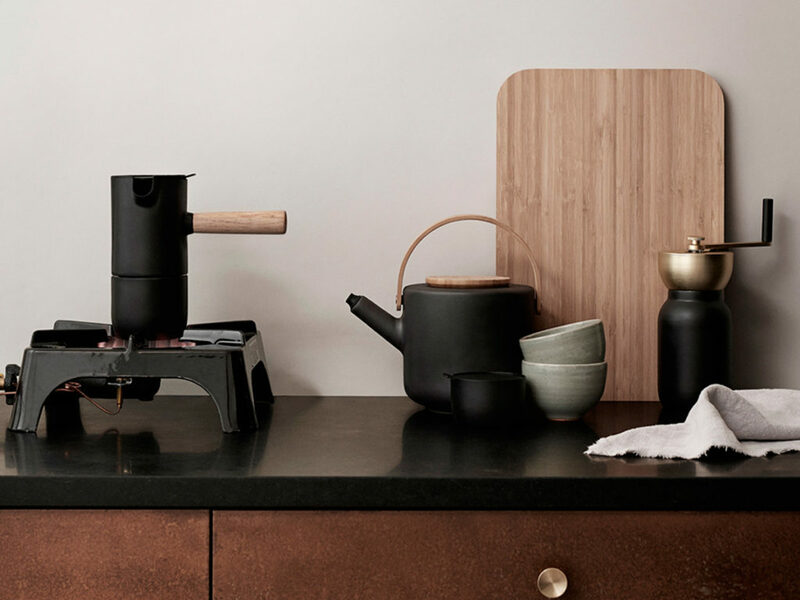 Designed in Italy (the birthplace of excellent espresso) and inspired by the aesthetics of Scandinavia (the birthplace of striking minimalism), the Stelton Collar Espresso Maker is your ticket to rich, delicious espresso. 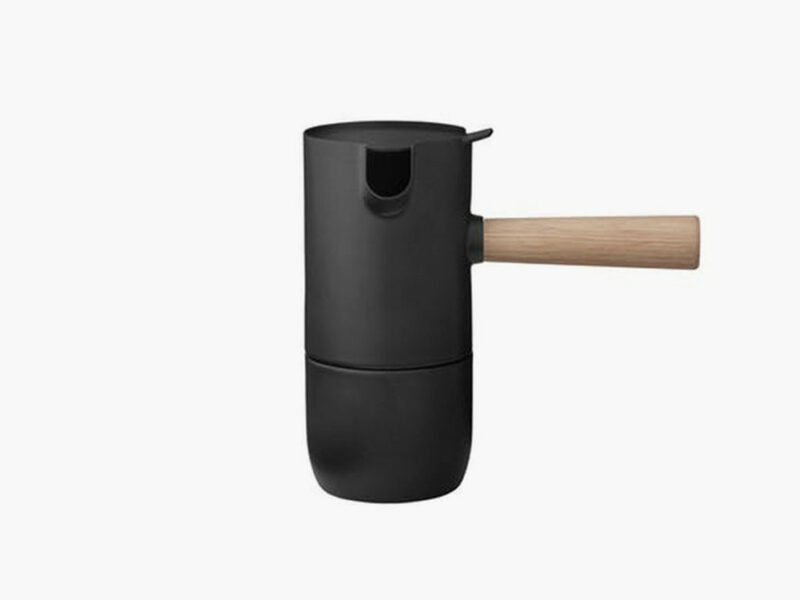 This sleek stovetop tool reinvents the moka pot with Nordic sensibilities, including an ergonomic handle made from rubber wood, so the process is as pleasant as the full-bodied final product. 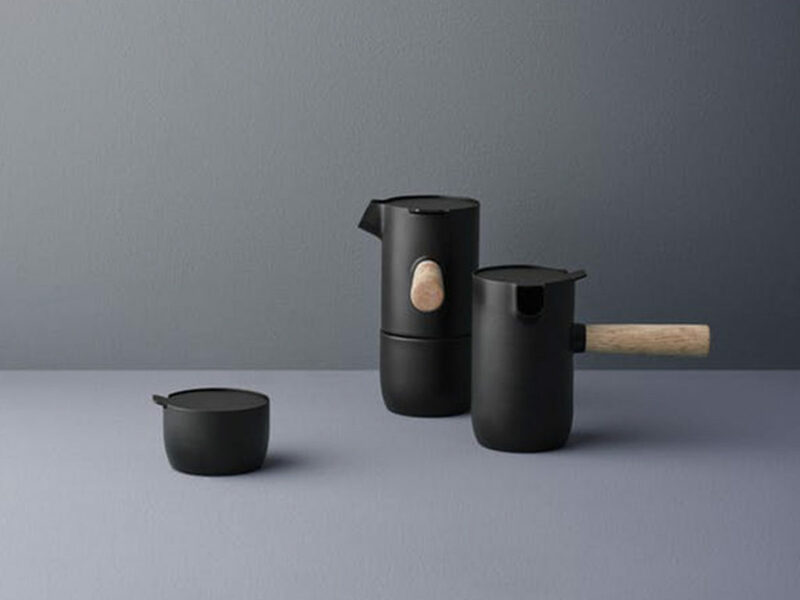 Like the other kitchen tools in Stelton’s striking Collar Collection, the Collar Espresso Maker is a pleasure to use and look at. 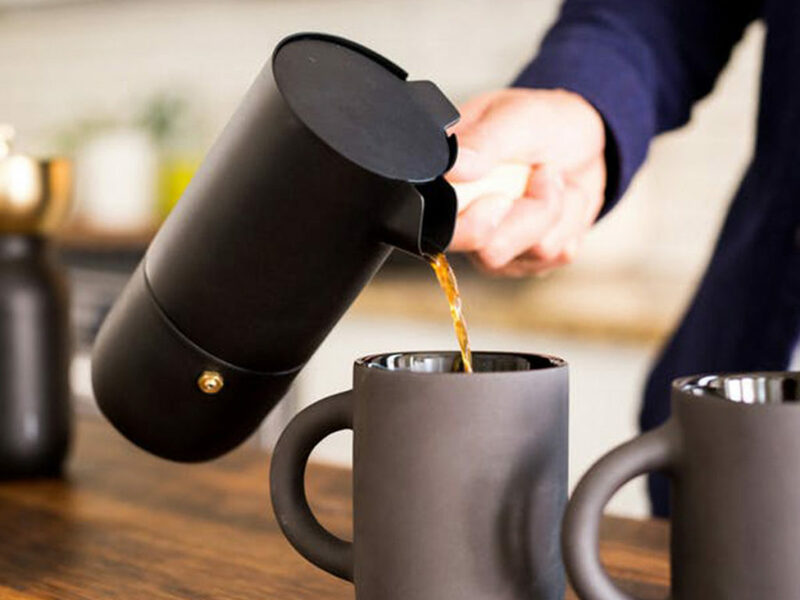 It’s also made to last with Teflon coating to protect the matte black stainless steel and a design that’s engineered to maximize the flavor and fullness of your espresso. It’s clear from every curve and sip that the Italian design duo behind this espresso maker understand the value of the perfect roast.